If you take traffic school, the ONE POINT will be moved to your DMV H6, also known as your “Private Driving Record” which is NOT visible by insurance companies unless you apply for a job driving for that company. As long as you do not get another violation in the following 18 months from the day of that violation, the ONE POINT will stay hidden on your record. 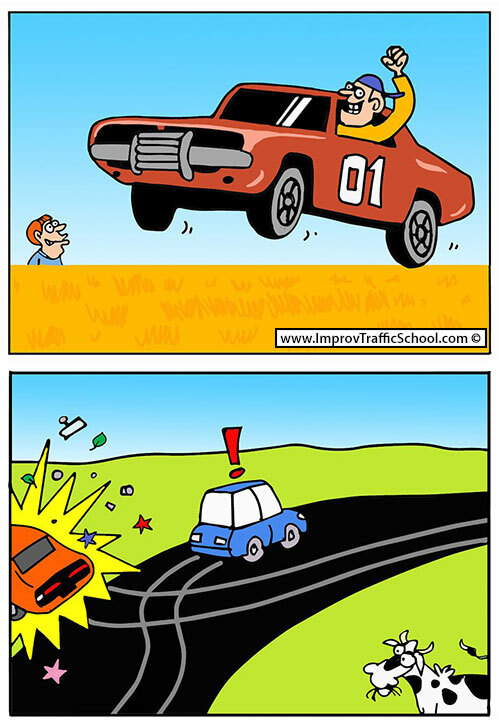 Traffic School is ALWAYS the best choice, not only because of the valuable information you will learn with our informative and fun course, but to help prevent getting that next ticket which WILL jack your insurance rates, or get you into a crash.